Provide comfort for the family of Marion Jelloe with a meaningful gesture of sympathy. Of Chelmsford, passed away peacefully Sunday evening April 14th, 2019 surrounded by her loving family in Lowell General Hospital after a brief illness at the age of 86. Born on December 4, 1932 in Boston; daughter of the late Philip Furlong and Jane (Strugnell) Furlong. Marion was raised in the Dorchester section of Boston and resided in Waltham from 1967 to 1985, when she moved to Walpole and has been a Chelmsford resident since 2005. She loved spending summers at her home in Onset near the beach. Marion graduated from the Jeremiah Burke High School in Dorchester and furthered her education through the years attending Babson College, Middlesex and MassBay Community Colleges. She had been employed as an Administrative Assistant at G.T.E. / Sylvania Corporation and the G.E. Credit Union for many years as she raised her family. She enjoyed knitting & crocheting Irish sweaters for her family, she had a love of dancing and spent many Thursday night at Mosley's in Dedham. She came from a long line of fishermen in her family and in her spare time liked to go fishing. Her greatest enjoyment in life came from being surrounded by her family & friends. Marion was predeceased by her beloved husbands Kenneth Manning and Gerard L. Jelloe. She is survived by her devoted & loving children; Kathleen (Manning) Beaumont Ferro of Waltham, Kenneth R. Manning and his wife Lorraine of Maynard, Jeannette M. (Manning) Leger and her husband Paul of Chelmsford, Lynda J. (Manning) Lombardo of Boylston and her former husband Peter, Richard M. Manning and his wife Laura of Billerica, Deborah Ann (Jelloe) Qualters and her husband Steven of Chelmsford, Karen M. (Jelloe) Dorrington of Palo Alto, CA and her former husband Keith, and Stephen G. Jelloe and his wife Evelyn of Waltham; her dear siblings Phyllis Collura of Waltham, Jo-Ann Moore of Norwood, Philip Furlong of Waltham, Jean Bowes of Walpole and the late William Furlong. In addition she is survived by her cherished 21 grandchildren, 21 great grandchildren, her adoring great great grandchild, and numerous nieces & nephews. Relatives & Friends are respectfully invited to attend Funeral Services in celebration of Marion's Life from the Brasco & Sons Memorial Funeral Home, 773 Moody St, WALTHAM on Thursday morning April 18th at 9:00 a.m. with a Funeral Liturgy to be held in Our Lady Comforter of the Afflicted Church, Waltham at 10:00 a.m. Interment will follow at Mount Feake Cemetery in Waltham. 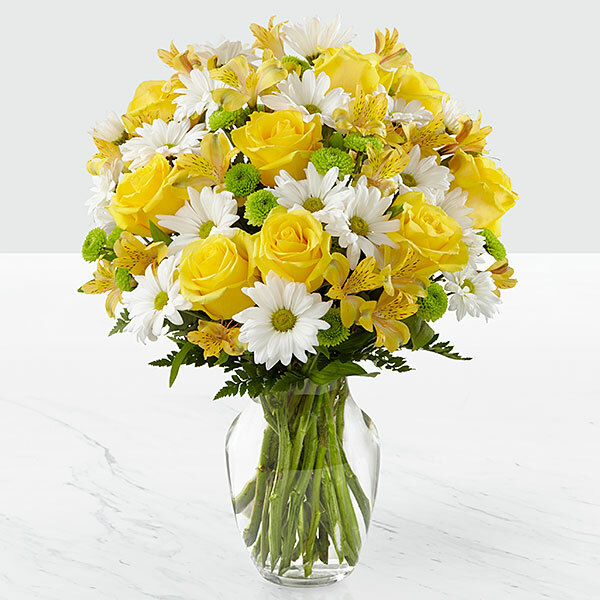 Visiting Hours will be held in the Funeral Home on Wednesday April 17th from 4 - 8 p.m.
To send flowers in memory of Marion J. Manning Jelloe (Furlong), please visit our Heartfelt Sympathies Store. 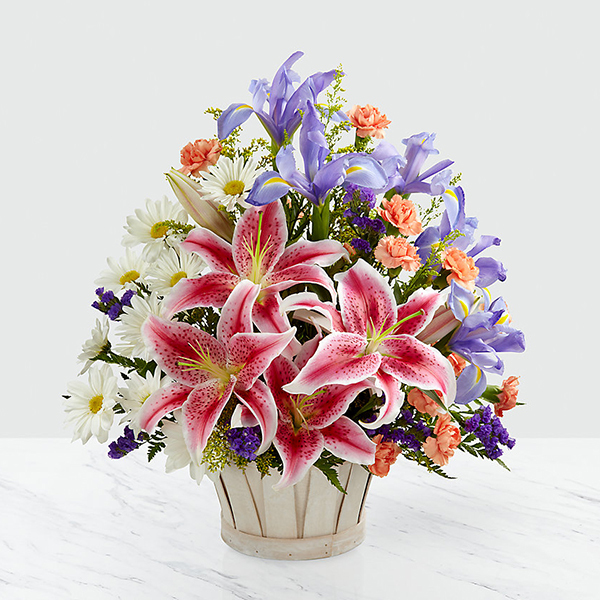 monique hopkins, Ted and Cindy Smith, Idaho, and others have sent flowers to the family of Marion J. Manning Jelloe (Furlong). monique hopkins purchased flowers for the family of Marion Jelloe. Our thoughts and prayers are with you. So sorry for your loss. Hugs to all. Love always. Ted and Cindy Smith, Idaho purchased flowers for the family of Marion Jelloe. We'll miss you Nana. Love, the Lombardos. Lombardo purchased flowers for the family of Marion Jelloe. Heartfelt Sympathies Store purchased flowers for the family of Marion Jelloe.